4 ) Five private cases over the last 30 years that have been self represented and all successful. 1.) EQUESTRIAN EXPERT WITNESS For Litigation and Personal injury Cases, for initial briefs or second opinion. 7) Assisting on Planning,Building and Managing equestrian establishments or Private Yards. 10) Programs composed for individual Riders to follow at Thier Leisure for themselves and thier horses. Star !! of the Show above is MISTY. 7 year old T B Mare. Here she is with one of my ﻿Students in Photo 6 months after she arrived at my stables!! So this is the after !! Next page for the Before! 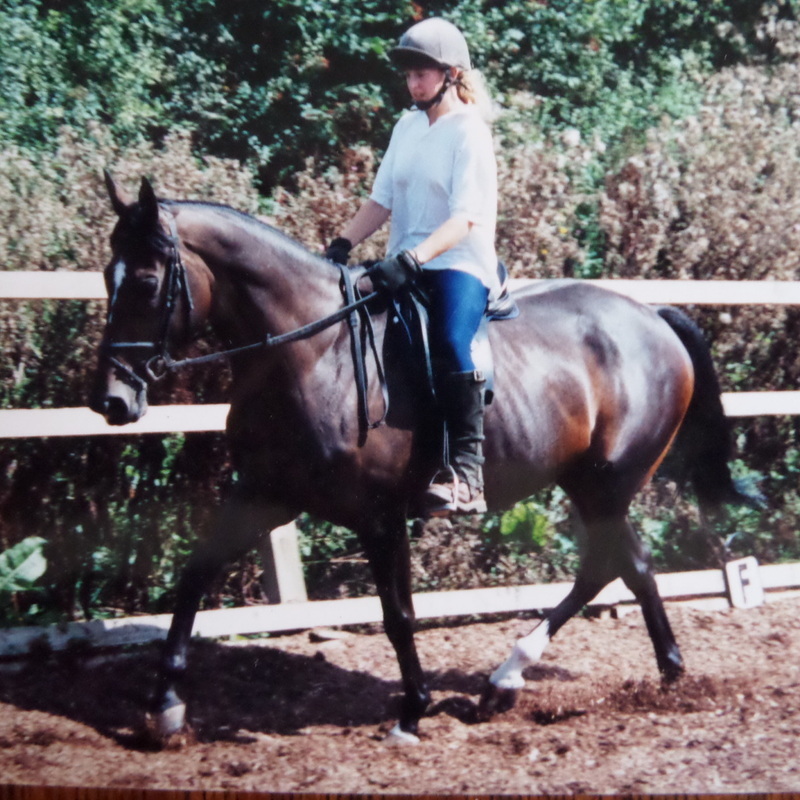 with correct Physical training and Care an hysterical failed Racehorse became what you See ﻿here . SUCCESS and SECURITY comes with PHYSICAL ABILITY and KNOWLEDGE.